Starting off this adventurous list is one of the World’s most famous ski resorts, Aspen. Located in the stunning Rocky Mountains, profile skiers, snowboarders, and thrill seekers alike can practice their skills while enjoying the high-quality snow and consistently amazing weather. Aspen has four mountains to choose from: Aspen Mountain, Aspen Highlands, Buttermilk or Snowmass. Conveniently all on just one lift pass, so no need to pick just one. The four Aspen mountains are host to over 280 runs, of which about 25% are suitable for beginners. So even if you are a beginner, don’t fret because even you can take on the slopes of Aspen. If you are looking for a place that also has some great nightlife, look no further than Aspen. The town itself has the most beautiful Victorian style as its history lies in the mining industry back in the late 1800s. Enjoy walking around the many quaint shops, and designer boutique stores before heading out for some of the best nightlife in Colorado. View our Aspen ski packages. Next up is Telluride, another favourite located in the Rocky Mountains of Colorado. Although Aspen tends to overtake the Colorado name, Telluride is rated one of the absolute best ski resorts in all of America. It is a part of the 14,000 peaks of the San Juan Mountains and boasts a famous view of the Box Canyon close by to enjoy while you’re not hitting the slopes. 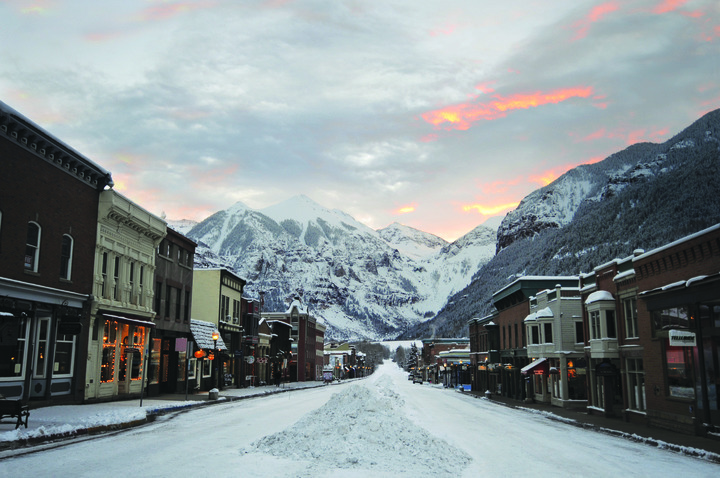 Telluride, like its more famous friend mentioned above, is also a mining town from the 1800s. Giving its town some very striking historic charm. 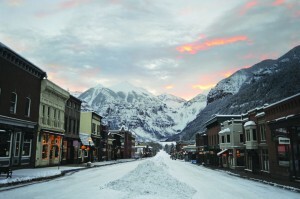 You can choose to stay at a convenient ski-in-ski-out lodge right by the mountains or in the centre of Telluride town. Telluride town is only a short 15-minute gondola right from the mountains and has many great restaurants and bars to check out. There are more things to see and do if you choose to stay in the town, whereas the Mountain Village will have easier access to the slopes, so the choice is up to you. View our Telluride ski packages. Whistler, located in Canada’s province of British Columbia, is the world’s hub for people who love adrenaline. If you are a skier or snowboarder and have never been, put it on your bucket list right away. Heck, even if you have never skied, put it down anyways. Whistler Blackcomb is the largest ski resort outside of Europe and was home to some of the downhill events of the 2010 winter Olympics. It showcases over 7000 acres of skiable terrain as well as the longest and highest continuous lift system in the world. Most of the runs in Whistler are intermediate, with a quarter of them being beginner, and a quarter are advanced. Although, don’t fret if you are an advanced rider and want some good practice. With a 22 foot Olympic size half pipe, and one of the biggest vertical drops in the world at 1,600 metres, advanced skiers and boarders are constantly heading to Whistler. The night scene in Whistler Village is also very lively. With a ton of international restaurants and cafes, you won’t be left bored or hungry after leaving it all out on the slopes during the day. So whether you are a beginner, intermediate, or advanced rider this destination is an absolute ‘try before you die’ type of place. View our Whistler Blackcomb ski packages. Jackson Hole is located in the beautiful Western American state of Wyoming. It has made the list of some of the best ski resorts in the world because of its insanely impressive terrain, and plethora of bowls, chutes, and pipes. It is home to some of the steepest and imposing runs in all of North America. The village has two mountains: The Apres Vous Mountain, and the Rendezvous Mountain. The former mountain is best for intermediate, while the latter hosts many bowls, glades, and couloirs for those experienced level skiers. You can stay in the lively city centre of Jackson, located very close to the resort. Or the more relaxed ski-in-ski-out resort in Teton Village. When you visit be sure to check out the world famous Yellowstone National Park nearby which is accessible via snowmobile. If you are an intermediate or expert skier and want to take it to that next level, be sure to check out Jackson Hole. You will not regret hitting ‘The Big One’ off that bucket list, while enjoying the most friendly and welcoming western style town America has to offer. 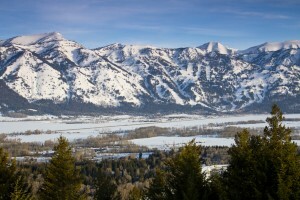 View our Jackson Hole ski packages. Let’s take it over to Europe to talk about the world famous French Alps. You can’t have a list of the best ski resorts without including the French Alps. There are so many options to choose from here that it can give some people a headache to plan. If you are looking for the picturesque quaint ski resort, look no further than Sainte Foy. With the village boasting traditional wood and stone chalets it is a great place for someone looking to relax after a long day on the hill. The runs themselves are uncrowded compared to some of its neighbours and can be a very nice break from all of the hustle and bustle of most ski hills. A good mix of beginner, intermediate, and some advanced runs, this mountain will have something for everyone. Another beautiful resort with a more “Apres-Ski” atmosphere is Valmorel. The majority of runs at Valmorel are suitable for beginners. So if you haven’t quite mastered the art of skiing just yet, don’t let the French Alps scare you away. Around Valmorel there are a ton of towns and ski villages to check out as well. Including places such as Longchamp, Saint-Francois, Le Crey, Celliers, and many more. So, if you decide to head to Valmorel, you can guarantee you won’t be bored after a day on the runs! Another must-try ski resort in the French Alps is Champagny. With an incredible 3200 metre peak and 1700 metre downhill, it will have adrenaline seekers at the top of their game. Also located within the Paradiski brand, is the Les Arcs mountain. Les Arcs has a killer, must try 2200 metre run. Don’t worry it’s not really ‘killer’, we hope. There you have it, some of the absolute best ski resorts in the French Alps. There are definitely a lot more not mentioned here that are worth a try, but we think these ones are the absolute cannot miss places. View our French Alps skip packages. Taking it all the way over to Japan, one of the absolute best ski resorts in the world is Niseko. Located on the island of Hokkaido, skiers and snowboarders alike flock to Niseko for some of the best night skiing in the world. They have 3 main ski resorts: Niseko Village, Grand Hirafu, and Annupuri. Not only does it have some of the best night skiing out there, it also has some of the most beautiful scenery to ride to during the day time. Mt. Yotei, an inactive Volcano towers around the slopes as you try to wrap your head around how beautiful this place is. You can’t go wrong choosing any of the 3 villages to stay in, but Hirafu Village is the heart of Niseko. Hirafu has a large selection of places to eat along with some great nightlife. The prices are also much cheaper compared to Western standards making Niseko the ideal vacation spot. View our Niseko, Japan ski packages. Last but certainly not least on this list of our favourite ski resorts around the world is Hakuba. Also located in Japan, but on the main island of Honshu. Hakuba was host to the 1998 Olympics, and for good reason. There are roughly 200 runs in Hakuba, with the Happo-One resort being renowned for some of the largest snowfalls and biggest vertical pitches. Hakuba Valley has around 10 resorts to choose from in close by villages. The most popular places to stay are Happy and Wadano, with some of the best Apres-Ski entertainment around. You can find a diverse set of restaurants and bars to check out, but make sure to try the Isakaya’s. Isakaya’s are traditional Japanese style restaurants with a large selection of Japanese dishes and drinks. If that’s not enough for you Hakuba is also famous for their nearby Onsen Hotsprings. The perfect place to unwind and relax after a day of skiing, and before a night on the town at one of their several night clubs. View our Hakuba ski packages. Looking for something to do for your employees? Travel is one of the best and most sought after ways to reward your colleagues. Imagine how much more motivation you would have if your boss took you and the team for a few days on the slopes. Hitting those organizational targets definitely won’t look so daunting after being at the top of the French Alps. Corporate experiences are available through Mates’ Escapes Corporate and can be adjusted to suit your budget and needs. Thus building you the ultimate travel experience for your team members or customers. Whether you are a beginner, intermediate or expert skier, the best ski resorts in the world have something for everyone. It’s time to start checking some of these off of your bucket list. Either for a family vacation, a holiday with your mates, or even some bonding time with your employees. What could be better than a week away mastering the French Alps, or Canada’s world-renowned Whistler Blackcomb? If you are looking to book something, Mates’ Escapes has some great ski packages so that you don’t even have to plan anything. Hope you enjoyed this list, and happy skiing! Take a look at our Corporate Experiences packages or perhaps our Skiing packages.